After studying the Art Market and Art History in France (Lyon, Paris, Rennes), Celine Moine entered in the art world as a speaker and a teacher for contemporary art and design. At the same time, she worked as an art dealer and a contemporary art consultant in Lyon and curated the exhibition Immobilis with artworks by Abramovic & Ulay, Vanessa Beecroft, Daniel Firman, Olivier Goulet, Michel Journiac, Frédéric Meynier, Liliana Moro, Orlan (Musée des Moulages, Lyon). 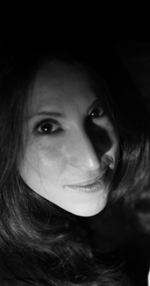 Celine Moine joined Artprice in 2005 where she manages the art market place, writes hundreds of articles for the Art Market Insight section and for several magazine for Artprice such as Beaux-Arts Magazine, Disenart, Harper Bazaar, Sammler...) and is the editor for all the art market reports published by Artprice (such as Artprice Art Market Trends, Artprice Contemporary Art Market Report, Artprice Guide to the Contemporary Art Market in Asia...). Working with Artprice Econometrics department, she focuses on art market research, macro-economic as well as micro-economic analyses. In addition, she launched in 2010 her nomad gallery focusing on the promotion of emerging talents and photography. Artprice is the first worldwide marketplace where art is bought and sold with more than 91,000 artworks on Fine Art, Design and Antiques presented by 14,000 galleries and art professionals. Artprice is the world leader in art market information with over 27 million auction prices and indices covering over 405,000 artists collected from 3,600 international auction houses.